All 11 figures fit into apple box. 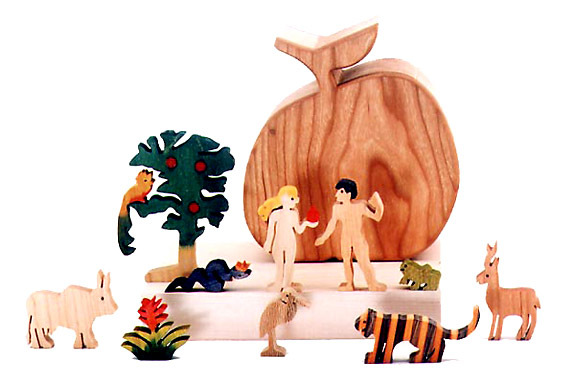 Packed inside a cherry wood box you will find all the figures from the Bible story: Adam and Eve, the snake, an apple tree, a flower, a bird of Paradise, and five other exotic wooden animals. This biblical toy, handmade in USA, is sought after by collectors and valued by Sunday School Educators.